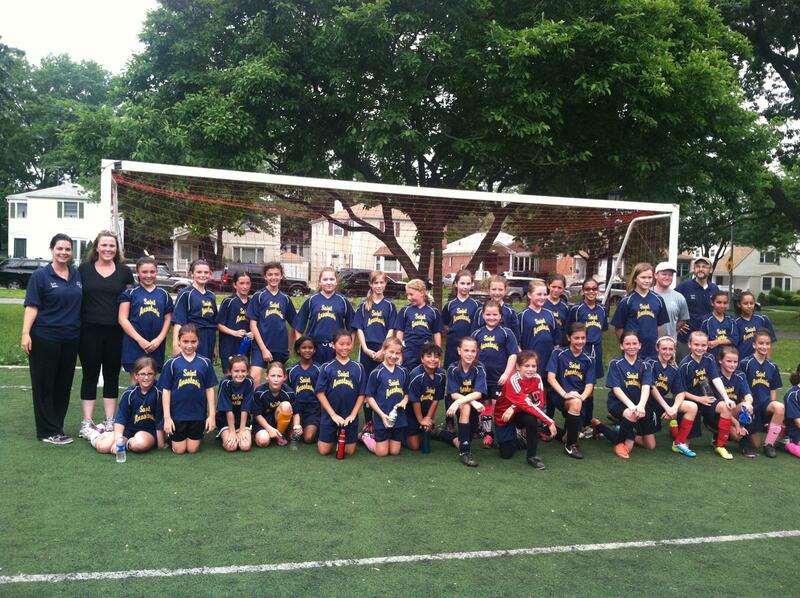 Congratulations 4th, 5th, & 6th Grade Girls Soccer Teams! CYO Diocesan History was made Sunday 6/16 as two teams from the same parish competed for the championship in the girls soccer 5th/6th grade division. In a hard fought and competitive match, the 4th/5th grade Saint Anastasia girls defeated the 6th grade Saint Anastasia girls by a score of 3-1. Congratulations to our girls and coaches for making the parish proud. Below is a combined team photo of both teams celebrating after the match. CYO registration is now open for next year. Please go to https://st-anastasia-cyo.sportssignup.com to access our online registration system. If you have questions about our programs, please send us an email at stanastasiacyo@gmail.com.